The Bolt is a standout knife from Kizer. 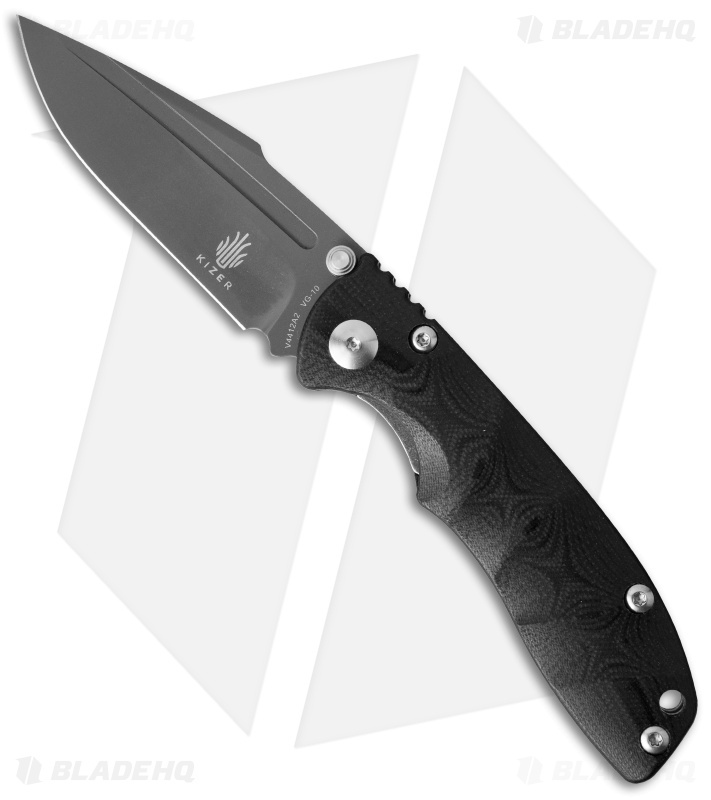 It features a sculpted G-10 handle that provides excellent ergos and great grip. A nested skeletonized liner and liner lock tab provide strength and ensure solid lockup of the blade. 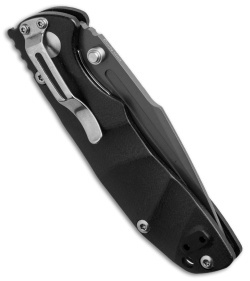 Tip-up or down carry is accommodated with the reversible pocket clip. The blade is made from VG-10 stainless steel and gray titanium coated. Good all around knife. I got this on sale and for the amount I paid I would say it is a great knife. Kizer does an excellent job with the vangaurd series, and I love to see a blade steel as good as vg10 for only $60 when other knives with 8cr13mov for the same price. The Kizer bolt is a pretty good deal for the amount of money that you're going to pay I'm getting good steel really good quality knife handle material and it functions well and feels good in the end of course with that said it feels a little light I like my knives a little bit bigger with a little more weight to him but for people that want to EDC a good size knife that feels light the both probably a good choice I prefer the Kizer roach over the bolt which I bought at the same time but I really can't say too many bad things about this bolt it's a good knife especially for the price point I'll probably end up gifting it as I probably won't use it very often but like I said it's a good knife there ain't nothing wrong with it I do like the looks of this knife the blade shape is pretty cool the G10 handles look really great he just has a sort of funny filled to the handles like they're Hollow I think this might be due to the lack of a backspacer instead of a backspacer there's just star screws. When I click the handle it sounds hallow and just not solid. Such in turn keeps it light. Huh lol thats just me trying to explain why I'm not going to carry it much. But again. Good knife and if you buy it you wont be sorry and if you end up not liking it it will make a amazi gift. I got this knife wanting to test out Kizer. It came razor sharp and feels great in the hand. 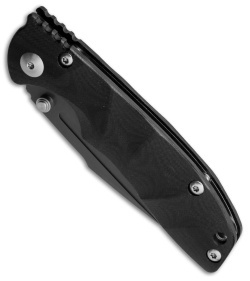 It’s a little big for my EDC style but it is a great working knife. Since I’ve had it I’ve used it to cut, pry, hack, peel and it holds up great. Would recommend to anyone looking for a good solid knife that they can beat up a bit and not worry too much due to the price.